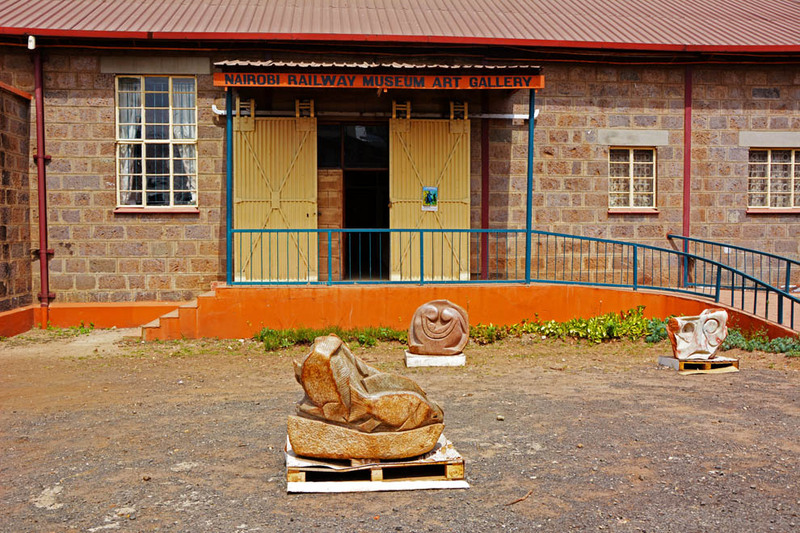 The Nairobi Railway Art Gallery was established in January 2012 by the Railway Museums management in collaboration with ECAK (Educultural Artists Kenya). 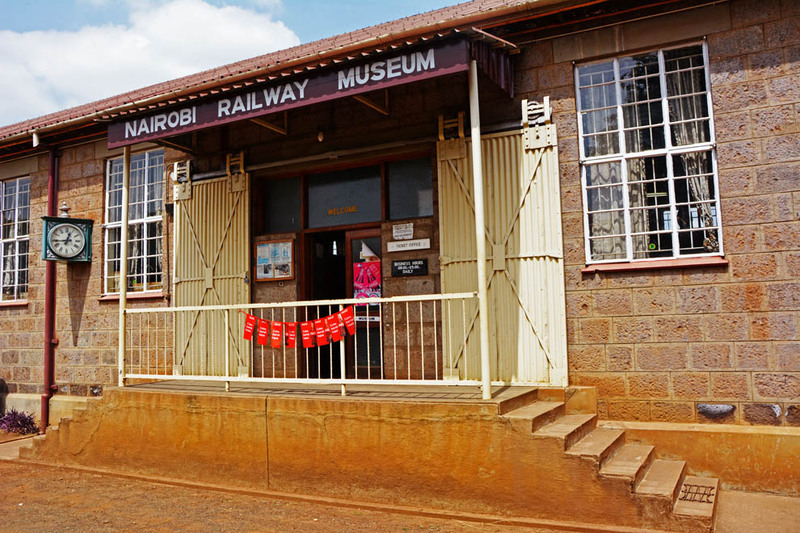 It is among the five sections of the Nairobi Railway museum the other sections are the Main Gallery (collection of smaller items), the Museum Resource Center (library and photographic section), the auditorium and an outdoor collection of locomotives, coaches and wagons. 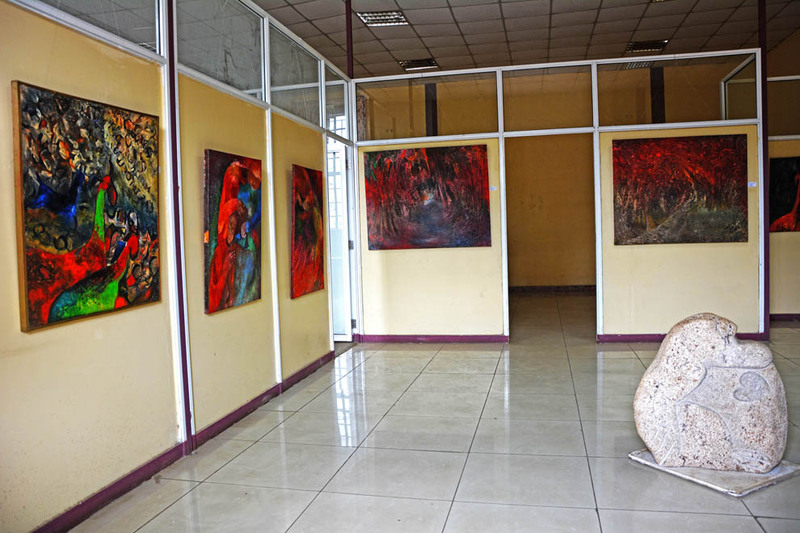 The entrance to the gallery, adorned with some abstract soap stone sculptures. 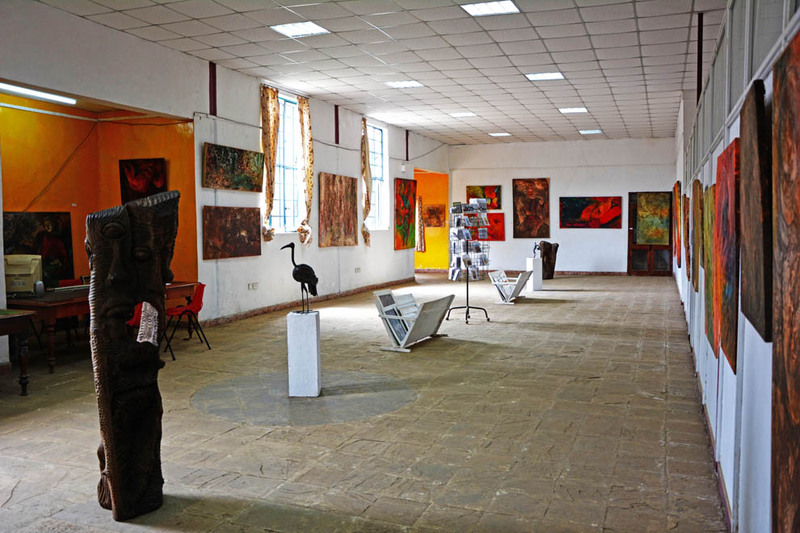 The gallery is adjacent to the Railway Museum gallery. 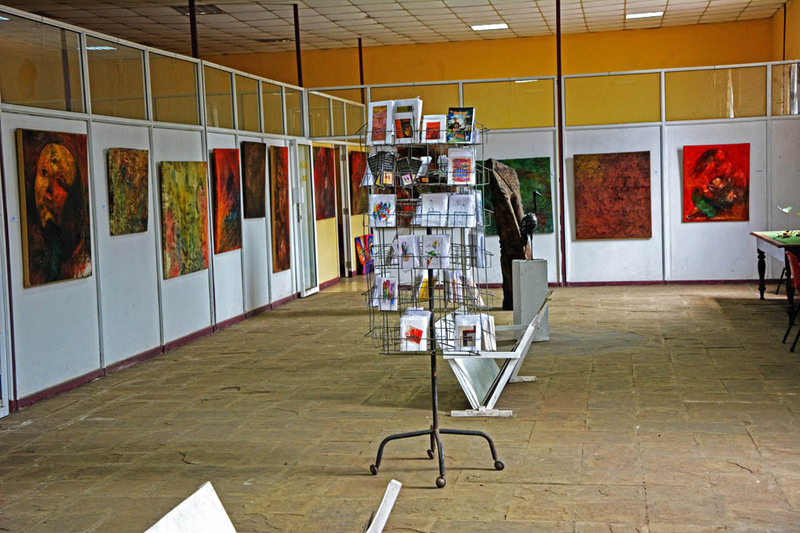 The gallery is not so big, but there is ample space to hold a major exhibition. 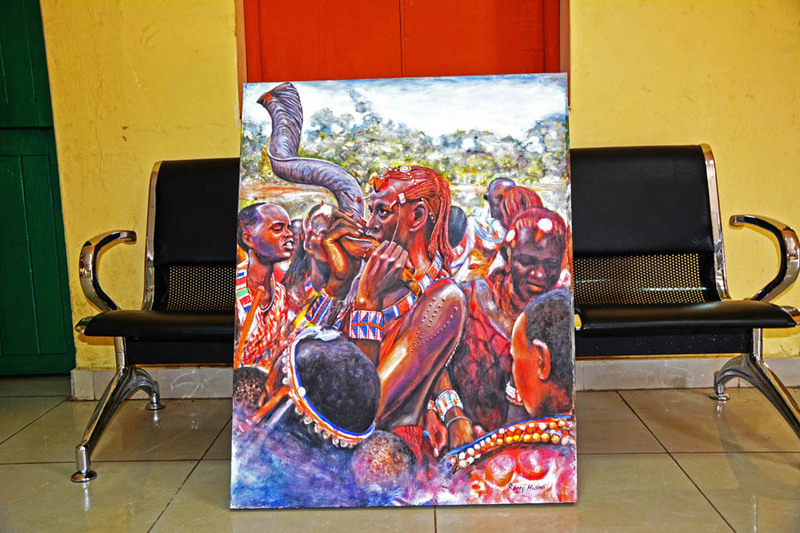 Earlier in the year the Kenya national Art exhibition was held in the venue. 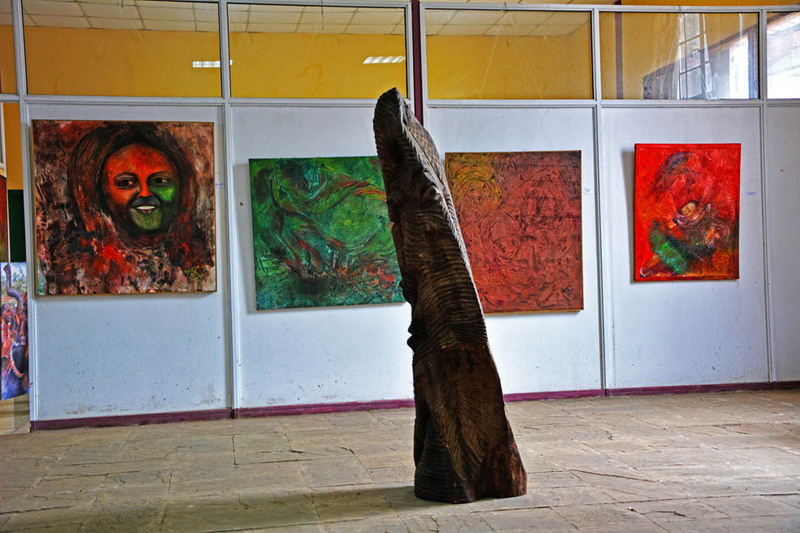 A large wooden sculpture, notice the painting of the late Nobel laureate Prof. Wangari Mathai. 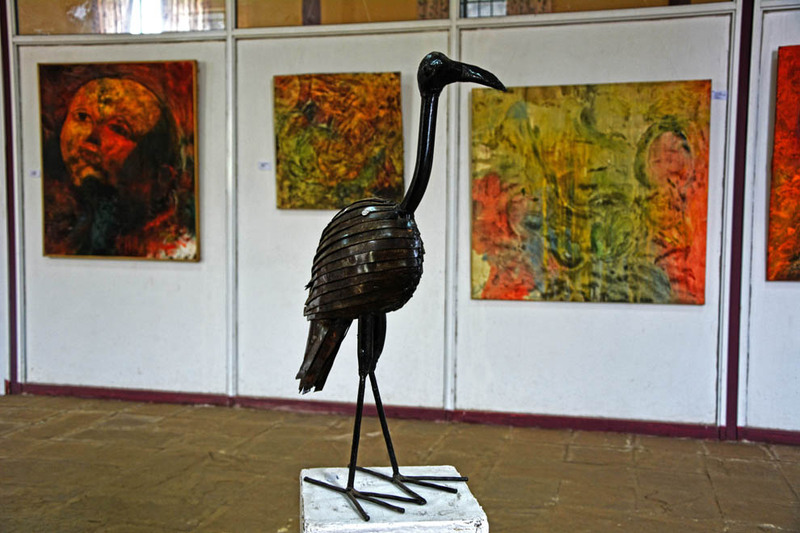 Varieties of artwork on display; scrap metal sculpture. 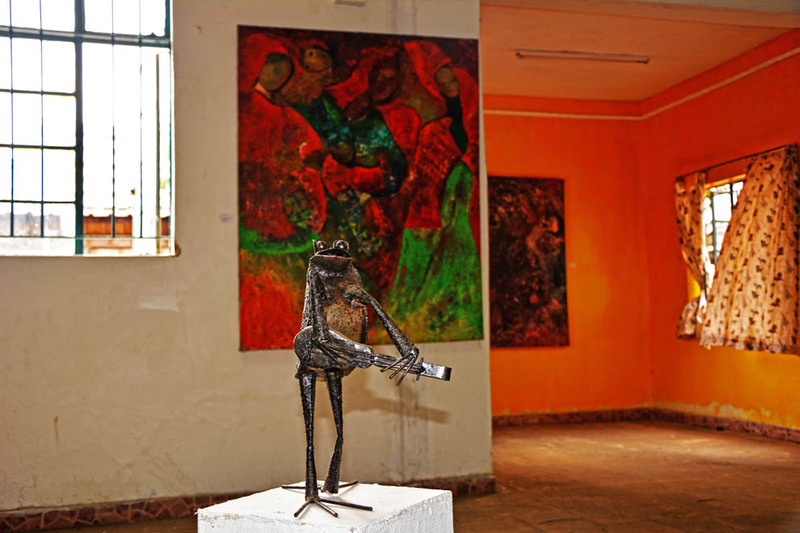 Different views of the gallery. 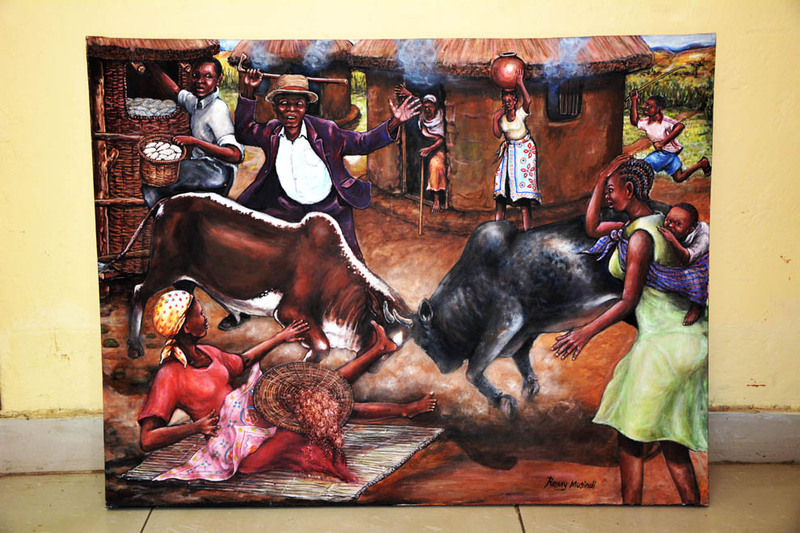 Paintings being prepared for display. 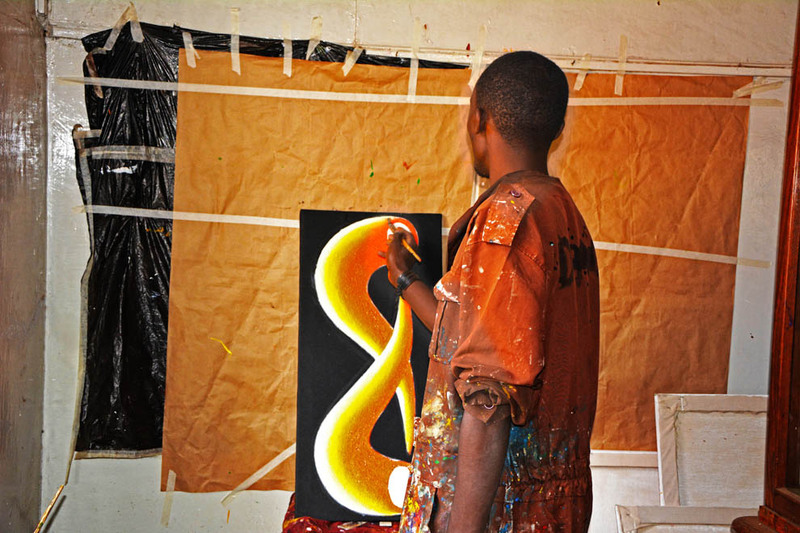 An artist at work in the art studio. 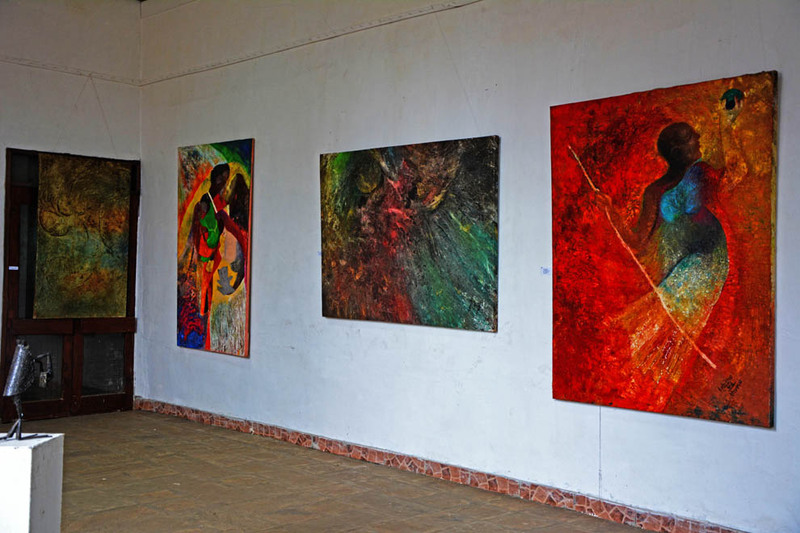 The art studio is used by up and coming artists for a small monthly fee. 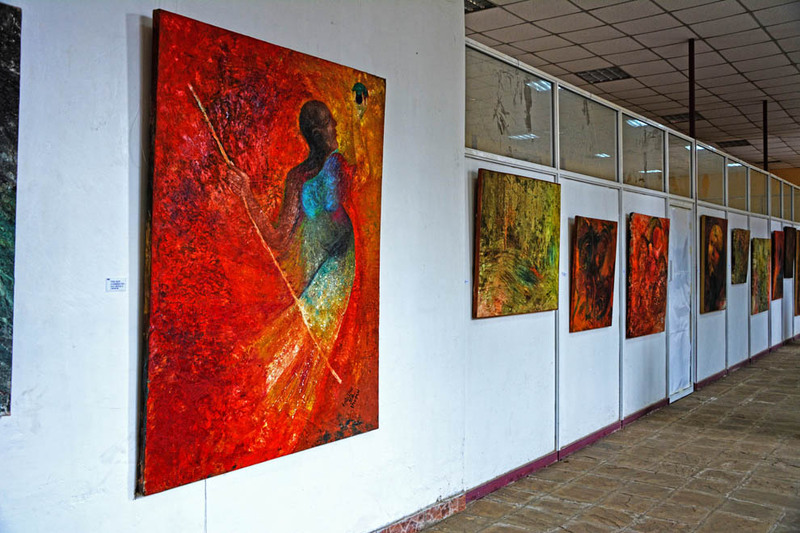 The artists benefit from mentoring and exposure by working with established artists and exhibiting their works during major exhibitions. 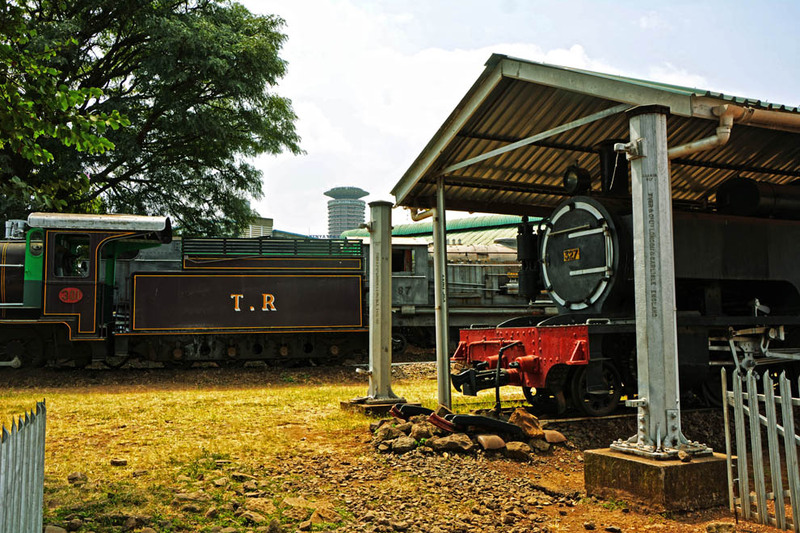 After a trip to the gallery one can always enjoy views of old locomotives in the outside section of the Railway Museum. I will soon be posting on the Railway museum, so keep in touch! I have been to the railway museum and will make a point of visiting the gallery. 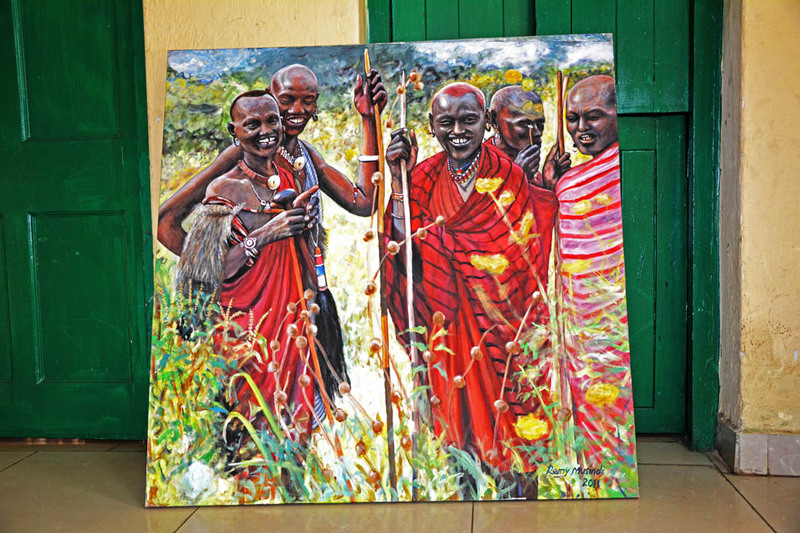 Yes you can, and do remember to link back to safari254. Please also send us a link to your article. I like the helpful information you supply in your articles. I’ll bookmark your blog and test again right here frequently. I am rather sure I will be informed a lot of new stuff right right here! Good luck for the next!